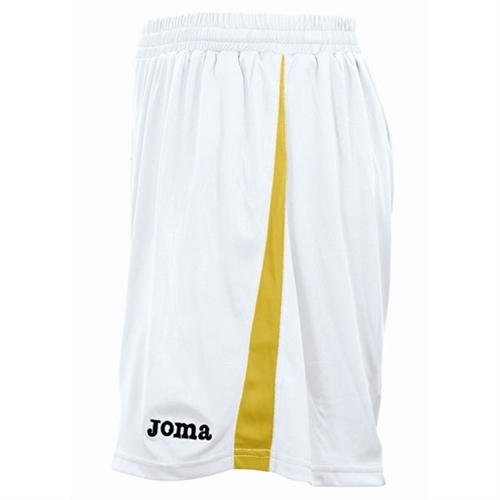 Description: Our Joma Tokio Shorts - White/Yellow are made with lightweight fabric for superior moisture management. The shorts provides heat and moisture management through ventilation. Embroidered Joma brandmark. 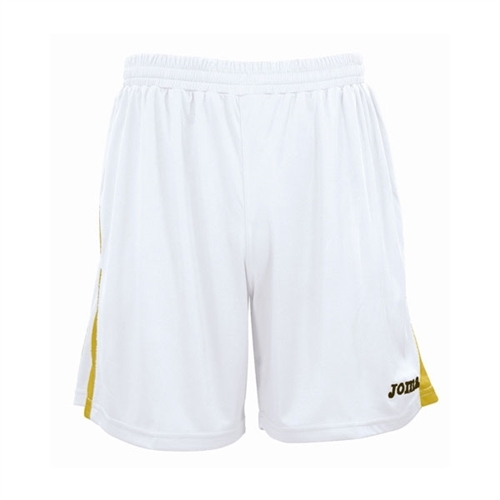 Joma Tokio Shorts - White/Yellow are made for soccer players. They are light weight, comfortable and have the embroidered Joma logo naem.